This kid’s print full of cute and colourful little animals from the farmyard will definitely bring a smile to a child’s face, especially those who love animals. A unique and fun birthday gift for children of all ages, that will take pride of place in their bedroom, nursery or playroom. 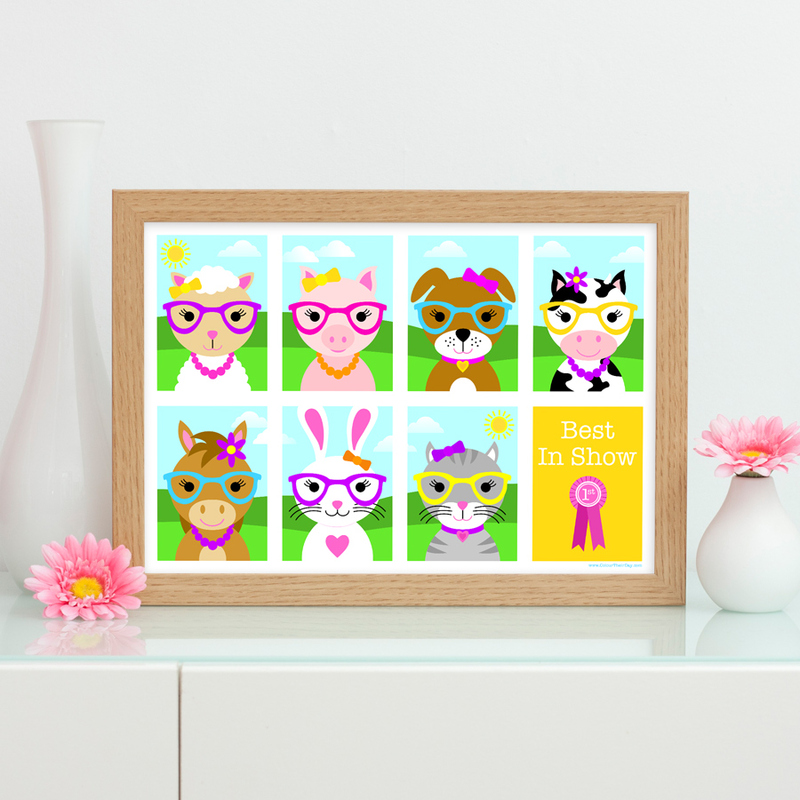 The illustration shows seven cute girl animals; a sheep, a pig, a dog, a cow, a horse, a rabbit and a cat, all wearing glasses and accessories, including hair bows and necklaces. The characters are all arranged in a grid, with the text ‘Best In Show’ and a 1st place rosette in the last section of the grid. The print is available in A4 unframed, A4 framed and A3 unframed. It is from the ‘Party Animals’ range of kid’s stationery, where you will find many more products featuring these cheerful little characters. Be the first to review “Best In Show – Girls Animal Print” Click here to cancel reply.